European business analysts in the past few weeks have started to increasingly use the term to describe the status of the German and French economies, and what awaits the eurozone if the central bank doesn’t implement stimulus measures. Italy is back in recession, they say. Unemployment has been a major concern for the 18-nation block but despite the best efforts of hardest-hit countries, it has never really been able to reach its 20-year low of 7.2 per cent in March 2008, the first year that the US sub-prime mortgage crisis began to pull Europe into recession. 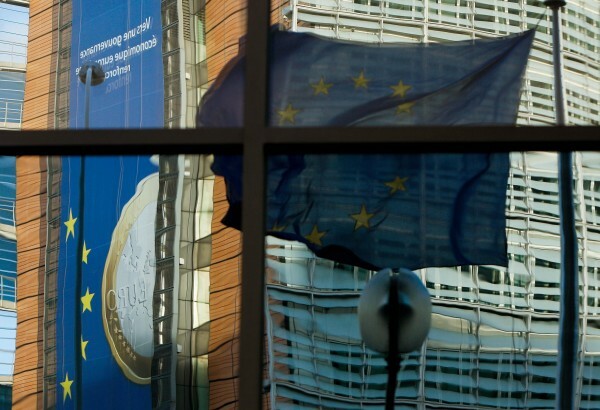 According to Eurostat, the European statistics and survey agency, the current unemployment average in the bloc is 11.5 per cent, slightly lower than 12 per cent just last year. But this figure can be misleading. The strongest economies, such as Germany and Austria, have a 4.9 per cent unemployment rate while Greece and Spain have for several years been in the 20-percentage figure. Greece’s rate is at 27.2 per cent, Spain’s is at 24.5 per cent and Italy’s is 12.60 per cent. The Eurozone’s largest trading partners – the US and China – have unemployment rates of 6.2 and 4.1 per cent, respectively. Meanwhile, the median youth unemployment rate in the eurozone remains at 25 per cent. Nine months ago, the International Monetary Fund (IMF) expressed concern that income inequality had increased in past decades in many Organization for Economic Cooperation and Development (OECD) countries and is also on the rise in many others. The challenges of growth, job creation and social inclusion are closely linked, the world body said. Exacerbating the situation is that second quarter growth in the eurozone has pivoted near zero. Germany, considered Europe’s economic powerhouse, saw it’s economy stagnate at -0.2 per cent for the first time, after registering first quarter growth of only 0.4 per cent. Analysts say that Germany is being pulled back by weaker economies in the eurozone. There was more disappointing news on Monday when financial information company Markit reported that the eurozone Manufacturing Purchasing Managers’ Index (PMI) dipped to 50.7 in August from 51.8 in July. A reading above 50 in PMI surveys indicates an expansion in activity while one below the threshold points to a contraction. Germany’s PMI was 51.4 in August; France’s fell to 46.9. One critical indicator of Europe’s economic health is its inflation rate. The European commission late last week, reported that eurozone inflation had fallen from 0.5 to 0.3 per cent, well below the two per cent marker the ECB had said would define a growing economy. The European Central Bank (ECB) has expressed concern about low inflation rates in the eurozone; the bank says that low inflation – or deflation – can postpone growth as consumers wait for bargain prices for goods and services. Eventually, this leads to inadvertent stagnation. 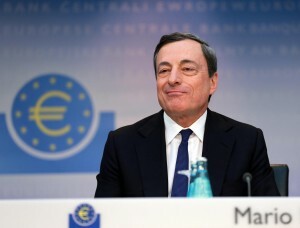 In June, the ECB cut interest rates to just 0.1 per cent as forecast by economic analysts, and slashed current deposit rates to below zero at -0.1 per cent in a bid to encourage banks to lend more to individuals and corporations. But these measures, and others which were also designed to combat the euro’s high exchange rate, failed to lift the eurozone market. Data last week revealed that loans to the private sector fell by 1.6 per cent in July as compared to the same month in 2013. This was slightly better than the contraction of 1.8 per cent in June 2014. The euro has already hits its highest value against the US dollar in three years. In June, International Monetary Fund (IMF) chief Christine Lagarde warned that a number of eurozone countries, particularly in the south, still had not fully recovered from the financial crisis set in motion by the US sub-prime mortgage debacle in the US in 2008. Economists say that the disappointing economic prognosis adds further pressure on the ECB to consider a stimulus plan known as Quantitative Easing (QE). In a bid to increase liquidity (monetary supply) and promote lending – in particular when interest rates near rock-bottom levels but fail to revitalize the economy – Central Banks can resort to quantitative easing by flooding financial institutions with capital. In 2009, the US Federal Reserve launched an $85-billion bond-buyback program to generate stimulus in the economy following the sub-prime mortgage crisis which led the world into recession. The Fed had stipulated that it would begin to phase out its program – which also included keeping interest rates very low – only when unemployment fell below 7 per cent. The Fed began tapering in $10-billion increments its stimulus programme when unemployment fell to 6.3 and 6.2 per cent in recent months. Meanwhile, some countries like Italy are pushing for reform of European banking rules regarding public investments and calling on a move from austerity-minded approaches to recovery. Italy’s Minister of the Economy Pier Carlo Padoan, in May said: “Europe must make growth and employment the center of its economic policy agenda, after the years of crisis where the center of policy was budget consolidation”. Padoan’s comments came just as his party – the center-left Democratic Party – won a considerable number of votes in European Union parliamentary elections. The election win, coupled with the fact that Italy assumed the EU presidency in July, could lead to a significant policy shift in EU economic policy. Italy, led by Prime Minister Matteo Renzi, has been pushing for a move away from austerity measures of the past three years and more toward policies that prioritize growth and job creation. Draghi, who chairs an ECB meeting on Thursday, believes that governments should scale back their austerity measures – severe in some cases – to help any QE his organization could announce. “It would be helpful for the overall stance of policy if fiscal policy could play a greater role alongside monetary policy, and I believe there is scope for this,” he said at a meeting last week.